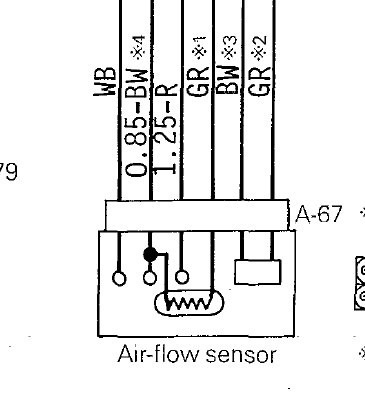 I'm going through the documentation and some very good threads about wiring the 2nd Gen MAFT but would like some clarification from those who know more than I. I've seen referenced using a Baro sensor but remember reading if a GM MAF was used it wasn't needed. Is this true? I put this picture together for graphical clarification and would appreciate advise on if it is correct. Thanks again. Edited by mbruneaux, 06 November 2017 - 04:29 PM. RPM input may require use of a tach adapter. It would be spliced into the ECU RPM input. Ecu still needs an RPM input to turn on fuel pump etc. 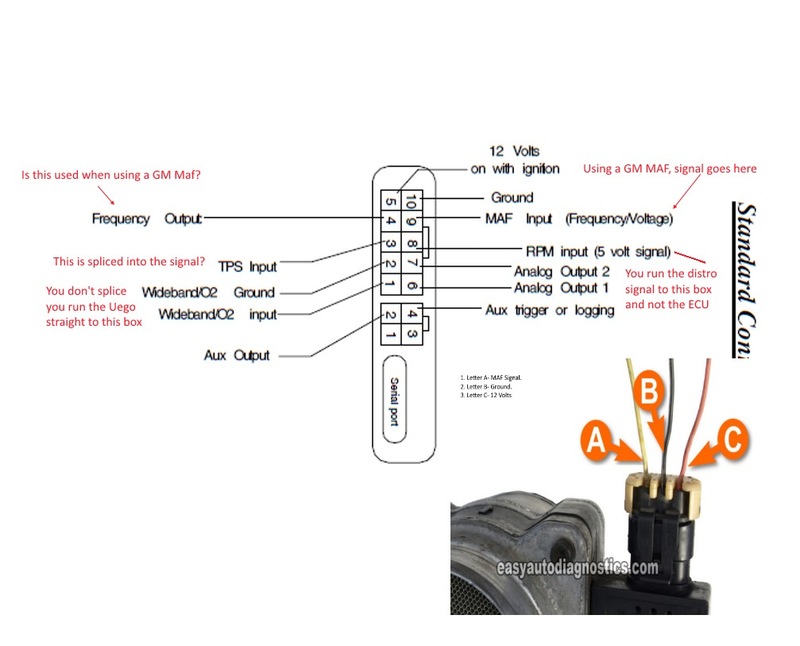 Wideband should replace factory O2 sensor, have wideband gauge output go to the ECU AND the Maf T. The wideband will be a heated o2 sensor and much more accurate. Which wire to the ECU do I use for Frequency to ECU? Is it originally from the factory AFS? Is it the White and Black wire going to #2 on the ECU. Edited by mbruneaux, 13 November 2017 - 02:14 PM. I spliced into the #4 wire. Finally got it wired and car won't start, going through the gauge monitor I don't see an RPM value. It stays at 0, I tapped the white wire from the distributor on the harness side. Double checked all the wiring but it should start with the RPM and ECU output alone I would think. You can't really tap the RPM signal there. You need a tach adapter to properly feed an RPM signal to the unit. I tried the same thing you did and it basically disrupted the signal to the ECU. Remove the rpm wire connection and verify it starts. DIgging through the threads I found the MSD adapter to buy, had to move the car so I went back to the factory MAS and it still won't start, I must have cut something or pulled something out. I will go through the the manual to find out why it won't start. Cranks and I have fuel pressure but won't fire. Check the wires coming from your distributor and to the coil. Did you tap into the knock box at all? I bet whatever wire you tried to tap for RPM is the culprit. That was my first thought and checked it but didn't fix anything, I'm hoping I can get to it this week.. Started a diagnostic thread for this issue.